At the same time I was also applying for 3 major certifications in my field. 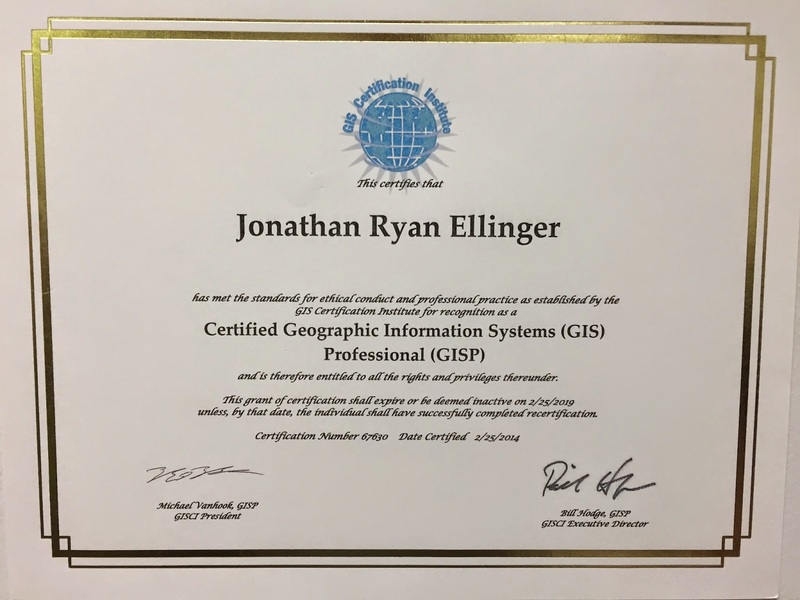 Before we left on our honeymoon I applied for my GIS Professional Certification (GISP) which requires 6 years of experience in the field which I then had. It took a while to fill out the application and I was glad I was accepted in January as they are building a certification test for it and I'll be grandfathered in and won't have to take it. 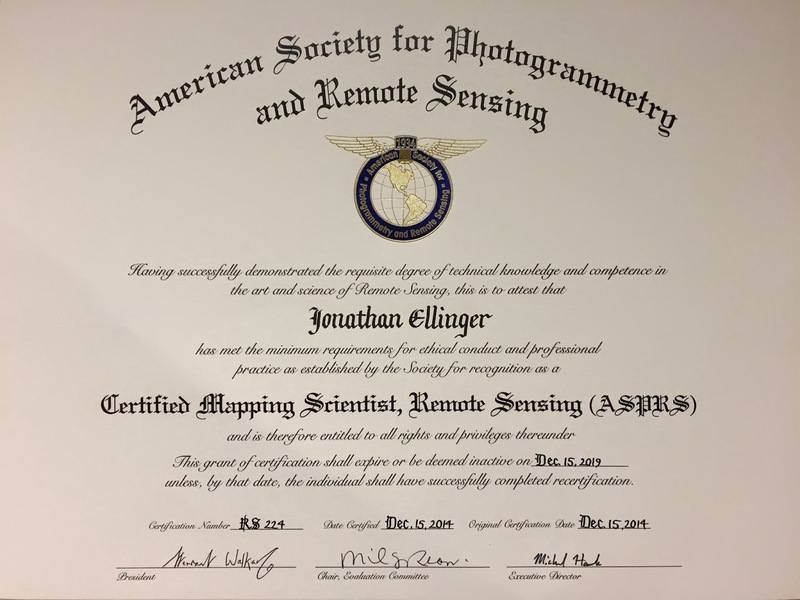 studying for was my Certified Mapping Scientist in Remote Sensing (CMS/RS) and my Certified Photogrammetrist (CP), both by the American Society of Photogrammetry and Remote Sensing (ASPRS). To get these professional certs I needed 6+ years of work experience and many other qualifications as well as to pass tests. 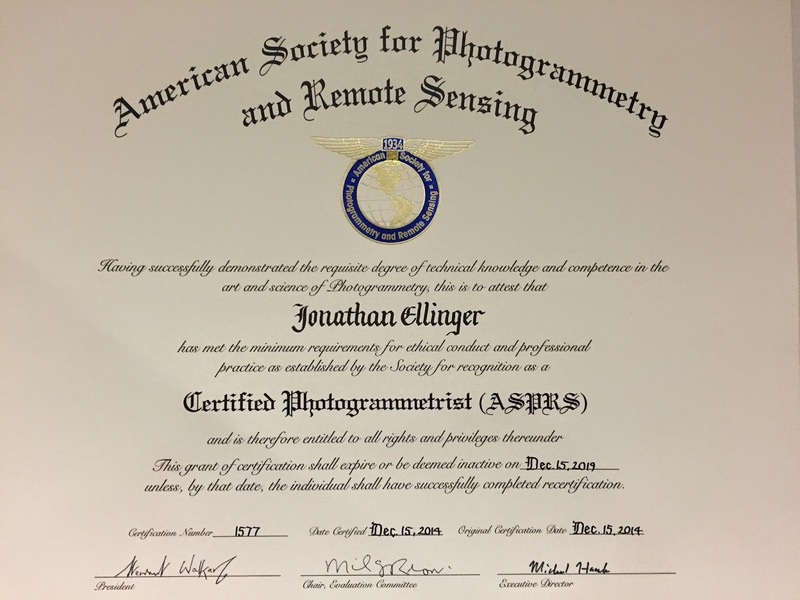 Thankfully, I was able to combine both ASPRS certs into one test that was designed specifically for me. A test that was 150 questions and 5 hours long! I took the test on Dec 12th, just hours before flying home for Christmas and I honestly wasn't sure that I had passed! Thankfully I did, becoming one of only two people at WSI (our company within Quantum) to be a CP and the only one to be a CMS/RS. Also, everyone I've ever heard of with these certifications are much older than me so they will look really good on my resume. So, yeah, it was a big year for my career, at the expense of my health and happiness... which I plan to remedy in 2015!